With over 800 million active users, Instagram is definitely a social media platform that your business should be using. Instagram will give your followers a glimpse of your company’s everyday life through pictures and videos. It encourages followers to interact with your business and engage in ways that other platforms don’t. For example, Instagram Stories are a great way to show your followers a quick video or to take a poll. Also, Instagram’s platform is designed to give followers a quick and easy-to-engage view (with the double tap) into your business, which sets it apart from the rest. You’ll have easy access to follower insights and be able to promote posts. First thing’s first. If your business doesn’t already have a Facebook page, you need to get one. 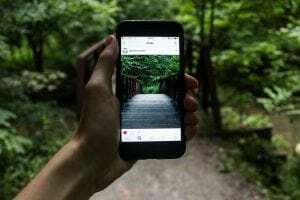 Instagram and Facebook are connected in some cool ways, like the ability to easily find your Facebook friends on Instagram. If your business doesn’t have a Facebook page, go ahead and read our blog about how to create one here! Hot Tip: You can only post to Instagram directly from your phone. We recommend following these six steps on your mobile device. The first step in creating an Instagram business profile is to sign up. Head on over to your app store and download the free Instagram app. Once you have downloaded it, open it up. It will prompt you to enter a phone number or email to start – go ahead and choose whichever one you prefer. When choosing your username, pick a name that clearly represents your brand. We suggest using your company name for your Instagram business profile or something similar, like ours (@aspengrovemktg). If you’re a realtor or an independent contractor, we would suggest using your name, business, and/or location to make it easy for your clients to find you. For example, John Smith is a real estate agent in Fort Collins, so his Instagram handle is @FoCoRealtorJohn. Hot Tip: From here, Instagram will prompt you to add your friends. We recommend doing this later once you have your account fully set up and have shared a post or two. You can skip this and come back! Your profile picture should be your logo, brand, or the face of your business. If you are the face of your business, then by all means, take that selfie – or better yet use one of your professional headshots if you have them! Be sure there’s not too much going on in the background because the profile box is small and you will want your fans to be able to clearly see what’s in your photo. Once your account is set up, go to your profile page by clicking the circular photo at the bottom right of the screen. Click on ‘Edit Profile’ to make sure your name, username, website, and bio are all up to date. Don’t forget to include a hashtag in your bio so your followers can see the hashtag that correlates with your account. Hot Tip: Make sure your account is set to ‘public.’ Instagram won’t allow private account users to convert to a business profile. 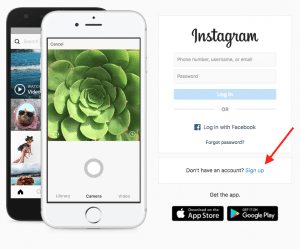 Now, here is where the real fun begins – setting up your Instagram business account! From the same profile setup page, click on ‘Try Instagram for Business Tools’ to set up your company profile and follow the instructions. This will prompt you to enter your company’s contact information, industry information, and a business address, which allows followers to identify that you are a business and provide quick and easy ways to get in touch with you. At this point, you’ll be prompted to connect to your company’s Facebook page, which is an essential step to making your social media platforms worthwhile! One of the biggest advantages of linking your Instagram to your Facebook business page is the ability to access your Facebook ads account. This makes it possible for you to promote and boost Instagram posts from the same account you use to boost Facebook posts! Yes! Now that you’re all finished setting up your Instagram company profile, it’s time to make the real magic. Share photos from your restaurant or room shots for that open house you have in a few hours. Posting consistently and putting out great content that matters to your followers is important. If you need help discovering the best ways to use Instagram, check out this blog about creating Instagram stories! Now that you have your account fully set up and have created some posts, go ahead and start connecting with people! From your profile page (bottom right icon) click on the gear button in the middle of the page. This will take you to your options, and from here, click on one of two options under the ‘Follow People’ category: Facebook friends, or contacts. Following your Facebook friends and connecting with your contacts is going to set your business up for success on Instagram. 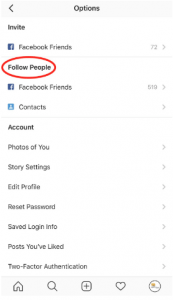 Instagram can easily look at your contacts and connect with them. It can also use the ‘suggestions’ tool to recommend contacts based on the people who follow your followers. It’s a great idea to follow people who often use the hashtags that you use. For example, we often use ourselves and follow people who use the following hashtags: #FortCollins, #focorocks, and #SocialMediaMatters. You will likely see more engagement from people or businesses who use the same hashtags as you do. Instagram is such a wonderful way to connect with your fans. 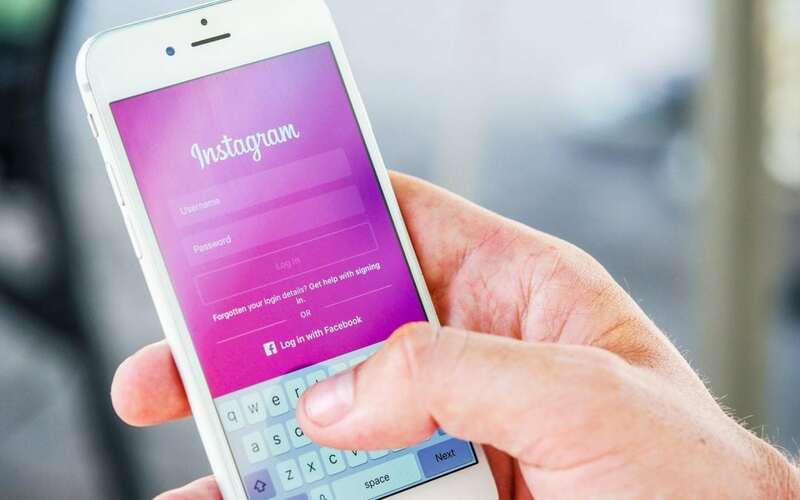 Chances are, the majority of the people you are trying to reach use Instagram on a daily basis, so why not use this platform? If you’re too busy running your business to worry about social media, we’re here for you. 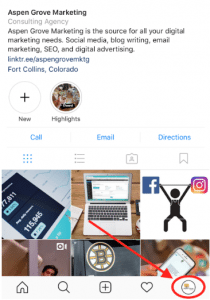 The Aspen Grove Marketing team has years of experience with social media marketing, and Instagram is one of our many specialties. If the ever-changing and dynamic world of social media isn’t your jam, give us a call or contact us today to get started on your digital marketing journey!